Jonathan Scott Frakes (born August 19, 1952) is an American actor, author, and director. Frakes is best known for his portrayal of Commander William T. Riker in the television series Star Trek: The Next Generation and subsequent films. Frakes also hosted the television series Beyond Belief: Fact or Fiction, challenging viewers to discern his stories of fact-based phenomena and fabricated tales. In June 2011, Frakes narrated the History Channel documentary Lee and Grant. He was also the voice actor of David Xanatos in the Disney television series Gargoyles. Frakes directed and also starred in Star Trek: First Contact as well as Star Trek: Insurrection. He is also the author of a novel called The Abductors: Conspiracy. Frakes married actress Genie Francis, who portrayed Laura Spencer on General Hospital, in 1988. Frakes was born in Bellefonte, Pennsylvania, the son of Doris J. (née Yingling) and Dr. James R. Frakes. He is of mostly German, and some English, descent. He grew up in Bethlehem, Pennsylvania. A 1970 graduate of Bethlehem's Liberty High School, he ran track and played with the Liberty High School Grenadier Band. Frakes received a Bachelor of Fine Arts in Theater Arts at Penn State University in the early 1970s, where he was a member of the Thespians. His father was a critic for the New York Times Book Review, a book editor, and professor of English literature at Lehigh University from 1958–2001, where he was the Edmund W. Fairchild Professor in American Studies. James R. Frakes died in early 2002. Frakes had a younger brother, Daniel, who died in 1997 from pancreatic cancer. For a time in the 1970s, Frakes worked for Marvel Comics, appearing at conventions in costume as Captain America. Frakes moved to New York City and became a member of the Impossible Ragtime Theater. In that company, Frakes did his first off-Broadway acting in Eugene O'Neill's The Hairy Ape directed by George Ferencz. His first Broadway appearance was in Shenandoah. At the same time, he landed a role in the NBC soap opera The Doctors. When his character was dismissed from the soap, Frakes moved to Los Angeles, California and played guest spots in many of the top television series of the 1970s and 1980s, including The Waltons, Eight Is Enough, The Dukes of Hazzard, Matlock and Steven Bochco's Hill Street Blues. He has done animation voice acting, most notably voicing the recurring role of David Xanatos in the animated series Gargoyles, and he provided the voice of his own head in a jar in the Futurama episode "Where No Fan Has Gone Before". He had a small, uncredited role in the 1994 movie Camp Nowhere. He also reprised his role of Riker for a Next Generation cutaway on an episode of Family Guy that also featured his co-stars Patrick Stewart and Michael Dorn as their respective roles of Picard and Worf. Later, he again played himself on another Family Guy episode, where all seven main TNG actors (plus Denise Crosby and Wil Wheaton) made voice appearances. He is also one of six Star Trek actors (the other actors being Kate Mulgrew, Michael Dorn, George Takei, Avery Brooks and Majel Barrett) to lend their voices to the video game Star Trek: Captain's Chair, reprising his role as Commander William T. Riker when users visit the Enterprise-D bridge featured in the game. 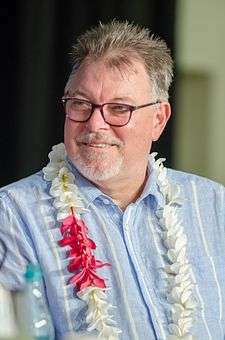 Frakes is one of only two Star Trek regulars to appear on four different Star Trek series (Star Trek: The Next Generation, Star Trek: Deep Space Nine, Star Trek: Voyager and Star Trek: Enterprise). (The only other regular to match or exceed that number is Majel Barrett-Roddenberry who appeared in all five television series.) He has also directed episodes in three of them (TNG, DS9 and VOY) and was a popular and innovative director on the Star Trek set, often finding completely new ways to shoot the show's familiar sets. His directing career has included the films Star Trek: First Contact and Star Trek: Insurrection. Additionally, Frakes was an executive producer for the WB series Roswell, directed several episodes, and guest-starred in three episodes. His relationship with Star Trek is made light of in the episode "Secrets and Lies", in which the alien character Max auditions for a guest role as an alien for Star Trek: Enterprise. Frakes hosted The Paranormal Borderline, a television series on UPN, which dealt with the paranormal and mysterious happenings and creatures. In one episode, Frakes presented an interview of reporter Yolanda Gaskins with veteran astronaut Gordon Cooper, where they discussed the possibility of aliens having visited the Earth in the past. Overall, the show was criticized and pulled off the air after it was discovered that footage showing a yeti from the Himalayas was purposely faked by the show and its producers. The "Snowwalker" footage, as it is known, purportedly shows a yeti crossing through a valley in the Himalayas, walking in front of a Belgian couple who are traversing the area on skis. The network finally admitted the hoax, and Frakes distanced himself from the show. He hosted Beyond Belief: Fact or Fiction, which also dealt with the paranormal world. Frakes works with the Workshops, the Waterfall Arts Center, and the Saltwater Film Society, all located in Maine, where he teaches classes on film direction. He and Francis owned a home furnishings store in Belfast, Maine, called The Cherished Home, which closed in August 2012 due to Francis being too busy with her acting to spend adequate time at the store. 1986 Matlock D.A. Park Episode: "The Angel"
2011 The Super Hero Squad Show High Evolutionary (voice only) Episode: The Devil Dinosaur You Say! 2013 Adventure Time Adult Finn Episode: "Puhoy" and "Dungeon Train"
↑ Jonathan Frakes; Dean Wesley Smith (1996). The Abductors: Conspiracy. New York: Tor. ISBN 978-0-312-86208-4. ↑ "1". Freepages.genealogy.rootsweb.ancestry.com. Retrieved October 10, 2012. ↑ Sylvia Lawler (September 25, 1988). "Jonathan Frakes's career beams up Bethlehem actor scores as 'Star Trek' commander". Allentown, PA: The Morning Call. pp. T.01. ↑ "James R. Frakes". Allentown, Pennsylvania: The Morning Call. March 15, 2002. pp. B.10. ↑ "Daniel M. Frakes". Allentown, Pennsylvania: The Morning Call. May 19, 1997. p. A09. ↑ Brian Cronin (2006-07-04). "Comic Book Urban Legends Revealed #58". Comics Should Be Good!. 1 2 3 Nemecek, Larry (1992). "Rebirth". In Stern, Dave. The Star Trek The Next Generation Companion. 1230 Avenue of the Americas, New York, NY 10020: Pocket Books. p. 18. ISBN 0-671-79460-4. ↑ Sylvia Lawler (May 5, 1986). "Making history: "North and South's" Jonathan Frakes is crafting his future– History yields a good part for Jonathan Frakes". Allentown, PA: The Morning Call. pp. D.01. ↑ Turner Network. "Leverage Season 3 Episode Synopses" (Microsoft Word document). Turner Network. Retrieved May 7, 2010. ↑ "The Cherished Home Facebook post announcing the store's closure"
Wikimedia Commons has media related to Jonathan Frakes.